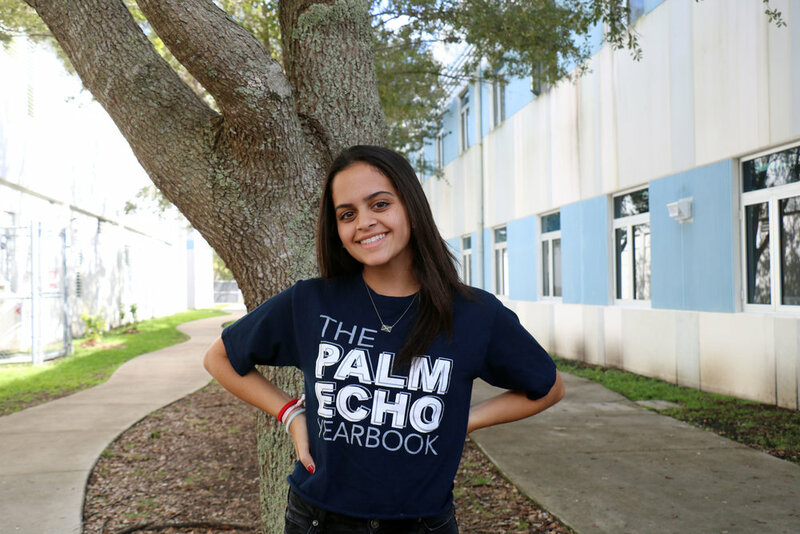 Under adviser Mrs. Arlene Huffman, the 27-person fourth period yearbook staff at Miami Palmetto Senior High School, 7460 SW 118th Street, is currently creating the 60th volume of the Palm Echo yearbook. Balfour, the publishing company used, will be providing Stephanie Sherman to help with deadlines along with developing the theme. All the photography, writing, and designing will be done by the yearbook staff except student submitted photos and the Fox-Mar school photos. Responsible for all decisions pertaining to the production of the yearbook and for overseeing the staff and the production. Responsible for the actions of everyone on staff. At all times, staff should be working toward the goal of meeting deadlines and improving their journalistic skills. Responsible for all the finances of the yearbook and the yearbook account. He must keep track of all funds coming in and out of the account. Responsible for attending and taking pictures of all school events as well as pick the pictures that make it into the final publication. Responsible for covering all academic classes, as well as electives, for the yearbook. As index editors, we are in charge of forming and editing the index for the entire yearbook. Responsible for creating the clubs and sports group shot pages in the yearbook; this includes scheduling and organizing all group shots in a timely manner. Responsible for editing the pages covering all school events that occur throughout the year. Responsible for covering all athletic teams in the school for the yearbook. From football to bowling, we create spreads that fully capture the team and their season. Responsible for covering the “real life” section of the book (i.e. summer, winter break, lunch, etc.). Responsible for attending and taking pictures of every event from school activities to sports, that Miami Palmetto Senior has. Responsible for contributing to the book’s written content in the form of stories, captions, and sidebars. Responsible for creating a comprehensive design to accompany the theme of the book, working alongside the Editor in Chief’s. Responsible for covering and creating the senior’s and underclass section of the book.